If plain, gray concrete doesn’t match your style sensibilities, you’re not alone. Many homeowners like the benefits of concrete—durable, affordable, versatile—but want a more customized look. Decorative concrete techniques allow homeowners the best of both worlds. They can still opt for concrete and benefit from all of the positives it offers, and still customize the look of their interior and exterior paved surfaces, from driveways and patios to countertops and flooring. In fact, good Alameda County decorative concrete companies that serve Oakland, Fremont, Hayward, Berkeley, San Leandro, Alameda, Union City, Pleasanton, Newark and Dublin and the rest of the area, are skilled at techniques and treatments that transform plain concrete into something beautiful and unique that fits customers’ visions and lends a custom-feel to all types of surfaces. There are many options, though, first in colors and decorative concrete techniques, and in the contractors who can provide them for you. So, read on for more information about the types of decorative concrete services that may be available to you and how to choose the right local decorative concrete contractor for your job. 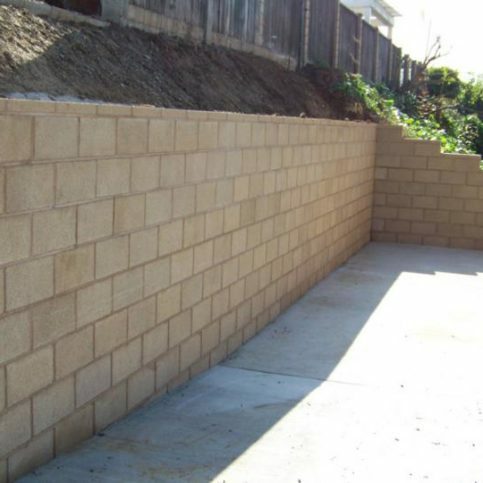 There are many concrete contractors in Alameda County, and many general building contractors who work with concrete. But general concrete experience doesn’t necessarily mean that the contractor will know how to provide the decorative concrete services you’re looking for. Hiring an experienced decorative concrete contractor will increase your chances of being pleased with your entire experience. You will likely get more accurate bids, better customer service and a good finished product that meets your expectations. Whether you live in Dublin, Newark, Pleasanton, Union City and Alameda, San Lorenzo, Sunol, Komandorski Village, Livermore, Ashland, Piedmont, Emeryville or any other area of Alameda County, there is great value in hiring an experienced, professional contractor, especially when it comes to decorative concrete services. While it’s best to choose a Diamond Certified company because they’re rated Highest in Quality and Helpful Expertise®, that may not always be possible. If you’re unable to choose a Diamond Certified decorative concrete contractor in your area, you can improve your chances of hiring a good company by checking out candidates on the Contractors State License Board website to ensure active license and workers’ compensation insurance. Any violations processed by the state will appear on the license record, so you’ll know about recent infractions or serious customer grievances. Be sure you take time to verify company credentials. Alameda County decorative concrete companies that are members of professional organizations and associations may offer better service, and you’ll be able to see their past records, including complaints and legal action. As with any working relationship, it’s important you work well together. So you’ll want to consider the personal and professional qualities you value in a contractor. 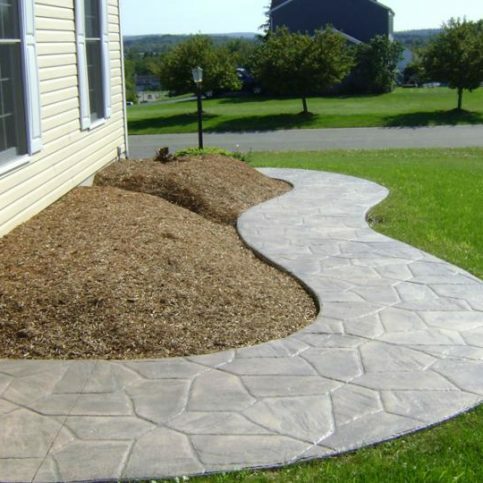 Promptness, good communication skills, honesty and cleanliness are important to many homeowners, so decide what traits you want in the decorative concrete contractor you hire and don’t settle for less. Why Trust Diamond Certified Concrete Contractors Rated Highest in Quality and Helpful Expertise®? Your needs, wants and goals should take precedence when you’re planning a home improvement project, including a decorative concrete installation. But how do you know what you want, let alone convey it to local decorative concrete companies in Oakland, Dublin, Fremont, Newark and Hayward and your area? Start by narrowing down what you want and expect. Ask yourself the following questions and write down your responses so that you can be sure to clearly and completely communicate your needs and expectations when talking with decorative concrete company representatives near you. Do I want a Diamond Certified decorative concrete company that is top rated and backed by the Diamond Certified Performance Guarantee? Are there any specific requirements or goals I have for the decorative concrete project? What is my time line for the work? Do I need to have any other landscaping or exterior work done at the same time? What characteristics and personal and professional qualities am I looking for from my Alameda County decorative concrete contractor? The narrowed list you now have, thanks to your phone interviews, should give you a clearer picture of which Alameda County decorative concrete companies you want to learn more about. Choose the top three to five contenders and invite them to your home or business to see the work in question. This will give the companies the opportunity to learn the details of your job, and it will give you a chance to learn more about the decorative concrete companies in Oakland, Fremont, Hayward, Berkeley, San Leandro, Alameda, Union City, Pleasanton, Newark and Dublin and near you and what sets each of them apart from the competition. What type of decorative concrete applications, colors and patterns do you recommend for my home? How much time will the decorative concrete work take? Will this decorative concrete work add value to my home? Will you give me a written estimate for this job that details materials, time line and line-item costs? Do you have any recent projects in my area of Alameda County where I can see your completed work from the street? Do you have recent customer references I can call who hired your company for decorative concrete services similar to the ones I’m considering? 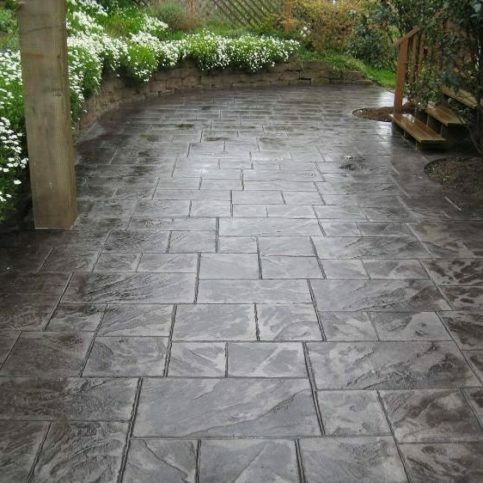 Can you show me the patterns or stamps you use for stamped concrete so I can see if I like the pattern and it looks realistic enough to meet my expectations? Do you have color maps or guides that can show me the expected color of my completed stained or colored concrete application? Do you guarantee your work? Will you put your warranty in writing? Who is responsible for warranty work if there’s ever a problem with my decorative concrete? What can I do to make the decorative concrete installation easier? Add to this list any other questions you have and write down the responses you get. When you’re done with this part of the process, you should have further narrowed down the companies to only those that can best serve you and offer quality decorative concrete services. It’s best to choose among Diamond Certified decorative concrete companies because all certified companies have passed an in-depth ratings process that most other companies can’t pass. If you want quality from decorative concrete companies in Alameda County and the greater Bay Area, you can have confidence choosing a Diamond Certified company. Diamond Certified reports are available online for all certified companies. And you’ll never be fooled by fake reviews. That’s because all research is performed in live telephone interviews of actual customers. If you can’t find Diamond Certified decorative concrete companies within reach, you’ll have to do some research on your own. If you do, it’s wise to call some references provided by your decorative concrete companies. 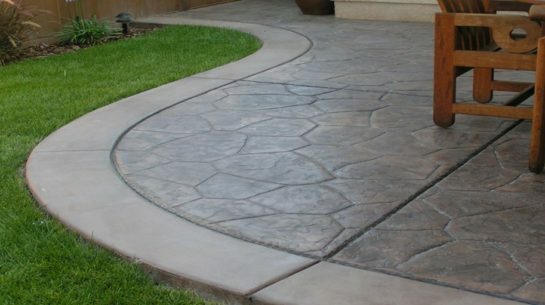 Keep in mind, though, that references provided to you by decorative concrete companies in San Leandro, Berkeley, Hayward, Fremont and Oakland and other areas of Alameda County and the Greater Bay Area are not equal in value to the large random sample of customers surveyed during the Diamond Certified ratings process. That’s because references given to customers from companies are cherry-picked instead of randomly selected from all their customers. So the decorative contractors near you will likely give you a few customers to call that they know are satisfied. If you do call references on your own, specifically ask for a list of the company’s 10 most recent customers, or the most recent clients who hired them for services similar to those you are considering. This will help avoid them giving you the names of only customers they know were satisfied, and it will give you a chance to talk with clients who can give you an idea of what to expect both from the decorative concrete contractors and the services you want. Were you happy with the decorative concrete work and customer service you received from _(Alameda County decorative concrete company name)_? Did the Alameda County decorative concrete company you hired complete the work on time? Were there unexpected costs associated with this decorative concrete project? If so, what were they for and were they avoidable? Did the contractor let you know about them during the work, or were you surprised by them after the job was completed? If you live in a smaller town such as Ashland, Castro Valley, Cherryland, Emeryville, Komandorski Village, Livermore, Mount Eden, Piedmont, Russell City, San Lorenzo, Sunol, did the decorative concrete company charge extra to travel to your home? Were the company employees on time? Did they clean up after finishing work, both at the end of work days and after the project was completed? What was the best part about working with this contractor? Is there anything you wish you would have known about this company or the decorative concrete process before you hired them or started the project? Can I drive past your home to see the completed decorative concrete work? Once you have a short list of local decorative concrete contractors that can meet your needs and you’ve received bids from three to five of them, it’s time to put together all of the information you’ve gathered and make a decision. You’ll want to review your interview notes, compare detailed bids looking for value rather than price alone, and think back to the conversations you had with the decorative concrete contractors in Dublin, Newark, Pleasanton, Union City and Alameda and your local area. Then consider the following questions to make a smart decision. Can the Alameda County decorative concrete companies you’ve interviewed meet your needs in terms of scheduling, design/decorative concrete applications and job preferences? Are the local decorative concrete contractors knowledgeable about the scope and details of the project you’re considering? Can they tell you which materials, products, colors, styles, patterns and applications best suit your needs and why? Is the company sensitive to your budget? Can they offer various materials, methods and products that fit your resources and your goal for the job? Do the decorative concrete contractors in Alameda County guarantee their materials, products and services? Will they put all guarantees in writing? Did one company stand out above the rest as the best choice for you and your needs? Hiring a decorative concrete company in Oakland, Dublin, Fremont, Newark and Hayward or your area of Alameda County can seem like a daunting task, but you have all the tools and knowledge you need to make a smart decision. The articles above will give you a good foundation from which to winnow down your list and feel secure in your options and your final choice. Start by spending some time researching your options for the types of decorative concrete applications and treatments available. Look at pictures and samples, think about your goals and needs, and make a list of items you want to discuss with the contractors you interview. Then move forward by performing interviews over the phone to help you quickly rule out Alameda County decorative concrete companies that can’t offer the services you need or that don’t provide the level of professionalism, customer service or expert craftsmanship that you demand. Once you have a few contractors in mind that have passed your initial interviews, invite them to your home or business so that they can see the work in question and give you a reliable, honest bid that reflects the actual scope of work. This is where knowing the scope of work you need and want comes into play. By having a firm idea of the scope of your job and overall goals, you can prevent yourself from contracting services that don’t meet your needs or that exceed your goals. This can keep you from spending more than your budget, and can make sure you are pleased with the final job without the guilt of spending more than you should. The best decorative concrete contractors you found should be willing to give you a written estimate for the services you’re contracting. This includes a line-item bid that details the scope of the work, start and end dates, the total price for materials and labor, and any special requests you’ve made. Once you’ve carefully compared the bids and decided which company offers the best value (that includes fair price, expert labor, quality craftsmanship, protective guarantees or warranties, and overall customer service), it’s time to move forward and sign the estimate or a contract. Many Alameda County decorative concrete companies will allow you to simply sign the estimate as a reflection of your agreement. Others have specially-drafted contracts that include the same information as the bid and other details about the job, their legal requirements and anything expected of you during the process. Read through the entire contract and only sign a complete and correct estimate or contract when you understand and agree with all of the terms. Ask any questions or get clarification before you sign the contract. That’s because it is a legally-binding document. Good Alameda County decorative concrete contractors in Pleasanton, Berkeley, Union City, San Leandro and Alameda and your area have likely faced almost every type of job imaginable, and they’ve worked with a large variety of clients. So they should be able to handle just about any job and deal with any unforeseen circumstances. However, you can simplify the job for your contractors. This has many possible benefits, including a shorter time line, less wasted labor, and there fore a less expensive job. It can also show that you are a good customer who is deserving of respect and fair treatment. Here are some tips you can take to get ready for the decorative concrete services for which you’ve contracted. Have an idea of what you want, but be open to suggestions. Look at samples, view photo galleries online, think about colors and patterns, and get a good idea of what decorative concrete applications most interest you and will be a good fit for your home style, landscaping and décor. Show samples and photos to your decorative concrete contractor, and ask for their opinion. They have experience working with the materials and seeing how many finished products come out, so they should be able to give you an idea of what colors, patterns, styles and decorative concrete applications are the best choice for you. Provide adequate storage space if required. Your decorative concrete company may ask you to provide a clean, dry and accessible storage area for construction materials and tools. Ask your contractor if you’ll need to provide space for materials and, if so, how much space is needed and for what length of time. This can simplify the job by having materials close at hand so the Alameda County decorative concrete companies don’t need to carry your job materials and tools to the work site every day, which can save time, frustration, and even forgotten materials. Clear the workspace. Whether your Alameda County decorative concrete company is providing interior or exterior work, they will need room to maneuver. You’ll want to be sure to move vehicles, decorative objects, and other items that can become damaged or may be in the way during the work. Keep children and pets away from the work area. Your contractors shouldn’t need to watch out for kids and pets while they’re working. So for their safety and the safety of your family members, keep pets and children out of the area when the decorative concrete contractors are working. It’s also smart to keep everyone away from the work area even when no work is going on, as concrete needs time to dry and cure to prevent damage, and work tools and materials can pose a hazard to animals and children. Ask your contractors what you can do to simplify the job and be a conscientious client, and follow through with their requests. They may have small things you can do or tasks you can perform to make the job go more quickly and smoothly, or to improve the outcome. It’s usually worth the little time and effort to be a cooperative team player when hiring local contractors. How Can You Be a Good Decorative Concrete Company Customer? Why would you want to take steps to be a good customer? Decorative concrete companies in Alameda County, like most contractors in any field, appreciate customers who are straightforward, honest and easy to work with. Your good customer behavior sets the tone from your end and creates an environment conducive to a good relationship. The job may well go smoother and any problems may be more easily resolved. Here are a few simple steps you can take to be a good customer when hiring Alameda County decorative concrete companies in Oakland, Fremont, Hayward, Berkeley, San Leandro, Alameda, Union City, Pleasanton, Newark and Dublin and beyond. Be direct and honest with the decorative concrete companies. Let them know what you want from the decorative concrete job, the outcome you’re expecting and specific ways they can satisfy your expectations. Remember, a friendly smile goes a long way. Even if you’re stressed or feeling misunderstood, keeping a positive attitude and polite demeanor can help relax the atmosphere and remove tension from your working relationship. Before you hire decorative concrete companies in Alameda County, restate your expectations and goals, and reiterate your understanding of the agreement. Most problems with local decorative concrete companies occur because of a breakdown in communication. By being clear about your expectations and theirs, you can avoid most conflicts. Ask your decorative concrete contractor if you should call to check on the progress of the work or if he or she will call you with updates. Be sure your contractor has a phone number where they can reach you at all times while they’re working on your project. The work will move along more smoothly if your decorative concrete company can reach you with updates, questions or work authorizations. Return calls promptly to keep the decorative concrete work on schedule. Pay for the decorative concrete work promptly and as promised. Good decorative concrete contractors in Alameda County, including those serving Dublin, Newark, Pleasanton, Union City and Alameda and other areas, should give you a final invoice for services rendered once the work is complete. It’s your right and responsibility to check over the work and make sure it meets the promises made in your contract and your expectations. Ask for clarification or more information if something seems to be other than was promised or agreed upon. This is also the time to learn about any regular maintenance, cleaning or care instructions. The decorative concrete contractor’s name, physical address and state license number. The total cost for the decorative concrete companies services, including the itemized amount charged for labor. A written explanation of any warranties or guarantees provided by the product manufacturers and the Alameda County decorative concrete contractors. Product guarantees and warranties on workmanship are your security when it comes to hiring a local decorative concrete contractor. Not all companies serving homeowners in San Leandro, Berkeley, Hayward, Fremont and Oakland and beyond guarantee their decorative concrete installations, but the best ones do. All licensed contractors are required to give clients a one-year warranty. However, companies that do good work are likely to back up that work. That means they’ll stand behind their materials, services and workmanship and put their promises in writing. The Alameda County decorative concrete contractor’s name, physical address and state license number. Any actions on your part that may invalidate the warranty, including maintenance and routine care of the decorative concrete surfaces. Concrete is a porous material, so it can be stained and colored. Concrete can be stained using acid or water based stains to change the color of the concrete. Acid staining for concrete doesn’t add pigment or dye to the concrete, but instead is a coating of water, mineral salts and muriatic acid that is applied to concrete. The chemical reaction creates an earth-toned stained appearance on the surface of the concrete. Acid staining creates a variegated appearance that is less constant than other types of concrete coloring or staining. Water based concrete stain, acrylic stains, polymer concrete stain and epoxy concrete stains can be applied as a coating to poured and hardened concrete to create a look that varies from opaque to translucent. Concrete surfaces (sidewalks, driveways, patios, pool patios, decks, slabs and more) that have become cracked, pitted, chipped, damaged, faded or otherwise damaged may be resurfaced. This includes filling all cracks and holes with a special concrete repair material and then covering the entire concrete surface with a concrete resurfacing material (usually made of polymer) to cover the imperfections and repaired areas. 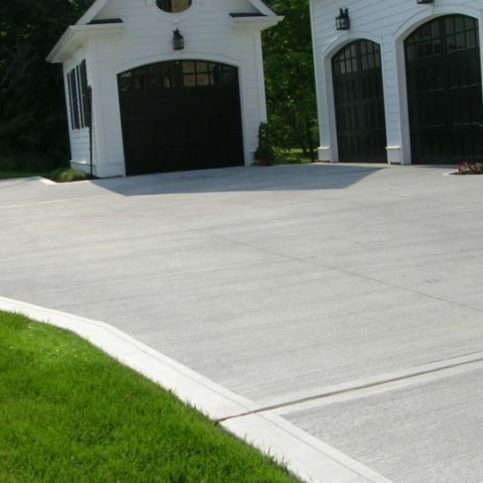 Resurfaced concrete can look like new concrete and may be a good way to save money instead of replacing concrete that is only slightly or aesthetically damaged. Resurfaced concrete can often be polished, overlayed, engraved, colored or stamped to appear like a new surface. Colored concrete is created by adding concrete dyes to wet/freshly poured or hardened concrete. Colored concrete can come in any range of colors to complement homes and landscaping, and may be applied by Alameda County decorative concrete companies in Pleasanton, Berkeley, Union City, San Leandro and Alameda and beyond to concrete surfaces inside or outside for a custom concrete look. The use of professional grinding machines equipped with diamond-covered sanding pads to polish concrete is a popular way to bring rough concrete to a smooth and even shiny finish. Polished concrete is popular on interior surfaces including floors, hallways and counter tops. Concrete polishing can also be done with concrete staining and coloring to create a customized surface that may not resemble concrete at all, or may look like a high-gloss seamless expanse of stone. Polished concrete is popularly used in commercial buildings, government buildings and other high-traffic buildings and areas. Concrete overlays are layers of acrylic paint resin, polymer or another material mixed with cement and sand to create a thin, smooth layer that adheres to the top of a concrete patio, floor, driveway or other surface. These overlays restore worn concrete surfaces, protect damaged or pitted concrete, make old concrete look like new, level settled concrete areas and allow for recoloring or redecorating existing concrete with stamped overlays or colored overlays. Specialty concrete overlays may have textures, colors, designs or other custom looks. 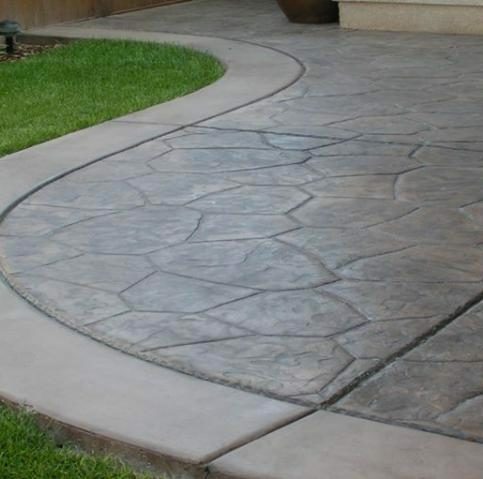 Concrete contractors in Alameda County and throughout the Greater Bay Area can engrave concrete by using saws or specialty diamond-fitted grinder blades to cut lines, groves, patterns, and other custom designs into the surface of concrete. Homeowners can choose from patterns that make the concrete look like brick, cobblestone, flagstone, fieldstone or other types of natural stone, or can choose a customized pattern or design. Concrete that becomes cracked, flaky, pitted, stained or otherwise damaged can be refinished using cracked concrete refinishing techniques. These can include overlays or decorative refinishign that mask or cover damaged ares. Decorative concrete companies in Oakland, Dublin, Fremont, Newark and Hayward, Ashland, Castro Valley, Cherryland, Emeryville, Komandorski Village, Livermore, Mount Eden, Piedmont, Russell City, San Lorenzo, Sunol and other areas of Alameda County can provide cracked and damaged concrete refinishing. Exterior concrete areas such as driveways, patios, pool decks, walkways, pathways and more can be treated with decorative concrete methods to achieve a custom look. Decorative concrete applications useful for transforming outdoor concrete surfaces include concrete stamping, acid staining, color staining, concrete dyeing, concrete polishing, decorative overlays, etching, concrete sanding, concrete coatings and more. Interior concrete surfaces including floors, countertops, walls, sinks, indoor pool decks and more can be treated by decorative concrete companies to give a customized appearance that enhances interior decoration and personality. Interior concrete surfaces may be polished, sanded, dyed, stained, engraved, overlaid and stamped. Decorative concrete surfaces are long-lasting by nature. However, from time to time, they may need to be repaired or refinished. Homeowners may also choose to have them remodeled or changed to fit changes in decor or new styles. Colored concrete can often be recolored, stained or dyed. Stamped concrete and other types of decorative concrete can be restamped, overlaid, polished, engraved or coated to enhance, repair or completely change the look of the surface. Acid staining for concrete does not use dyes or pigments, but instead relies on a chemical reaction resulting water, mineral salts and muriatic acid to react to the existing minerals in the concrete to create earth-toned colors such as tan, brown, red and green on the concrete surface. Acid staining on decorative concrete leaves a variegated or marbleized appearance. Antiquing concrete is a decorative approach to concrete modification that involves color layering to make concrete surfaces appear mottled and aged, as if they were old. Broom finish is a specialty finish on decorative concrete that is created by pushing a broom across fresh concrete so that the broom bristles leave lines and patterns in the surface. Color chips are plastic and stone chips available in many sizes and colors. These chips are mixed with or pressed into concrete or freshly resurfaced concrete to produce a multicolored finish. Decorative concrete treated with this effect can look like terrazzo composite material. Colored concrete is created by adding concrete dyes to wet/freshly poured or hardened concrete. Colored concrete can come in any range of colors to complement homes and landscaping, and may be applied inside or outside for a custom concrete look. Concrete surfaces (sidewalks, driveways, patios, pool patios, decks, slabs and more) that have become cracked, pitted, chipped, damaged, faded or otherwise damaged may be resurfaced. This includes filling all cracks and holes with a special concrete repair material and then covering the entire concrete surface with a concrete resurfacing material (usually made of polymer) to cover the imperfections and repaired areas. Resurfaced concrete can look like new concrete and may be a good way to save money instead of replacing concrete that is only slightly or aesthetically damaged. Resurfaced concrete can often be polished, overlaid, engraved, colored or stamped to appear like a new surface. Concrete that becomes cracked, flaky, pitted, stained or otherwise damaged can be refinished using cracked concrete refinishing techniques. These can include overlays or decorative refinishing that mask or cover damaged ares. Dry-shake is a color-hardneing mixture of colored pigments, cement, concrete aggregates and surface hardening material. 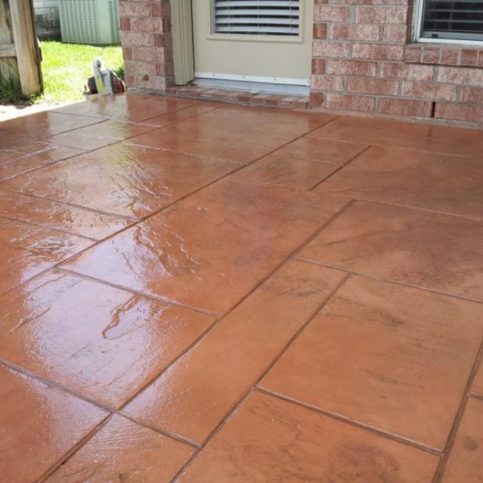 This is applied (usually by shaking, hence the name “color-shake” or “dry-shake”) over stamped concrete, concrete overlays, and fresh concrete to create a multi-faceted, colorful, hardening surface to the concrete. Concrete contractors can engrave concrete by using saws or specialty diamond-fitted grinder blades to cut lines, groves, patterns, and other custom designs into the surface of concrete. Homeowners can choose from patterns that make the concrete look like brick, cobblestone, flagstone, fieldstone or other types of natural stone, or can choose a customized pattern or design. Exposed aggregate is a decorative concrete surface created (or uncovered) by scrubbing, sand blasting, pressure washing or otherwise removing surface mortar from concrete. This exposes aggregate pieces in the concrete, creating a multi-colored surface that is unique and beautiful. Concrete surfaces that have been treated with specialty color layering, polishing and finishing techniques that give them a marble-like look are said to be marbleized. 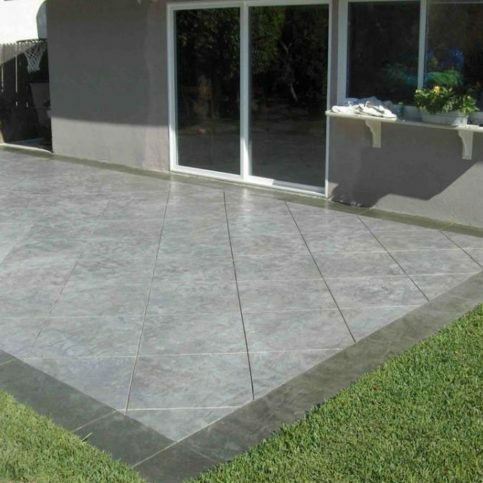 Stamped concrete is an interior or exterior concrete surface that has been stamped, patterned, embossed or textured using a stamp or pattern that is pressed into the wet concrete to create a specific texture. This changes the usually flat nature of concrete so that it resembles wood, brick, natural stone like slate and flagstone, tile and other textures or patterns. 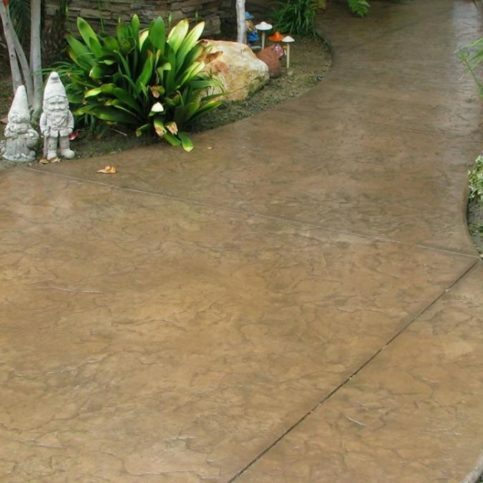 Concrete stamping is a decorative concrete treatment often used to transform concrete on driveways, patios, walkways and sidewalks, decks and even flooring in homes, among other locations. It is popular for its durability, lack of cracks between patterned areas, and ease of maintenance. Q: Why choose Diamond Certified decorative concrete companies? A: Diamond Certified helps you choose decorative concrete companies with confidence by offering a list of top rated local companies who have passed the country’s most in-depth rating process. Only decorative concrete companies rated Highest in Quality and Helpful Expertise® earn the prestigious Diamond Certified award. Most companies can’t pass the ratings. American Ratings Corporation also monitors every Diamond Certified company with ongoing research and ratings. And your purchase is backed by the Diamond Certified Performance Guarantee, so you’ll feel confident choosing a Diamond Certified decorative concrete companies. Q: What types of decorative concrete applications are available? Q: How do I choose the pattern or color of my new decorative concrete? A: There are so many choices when it comes to decorative concrete that it can be hard to choose the right one for your application. Most decorative concrete companies recommend taking into account your home’s style and that of the surrounding landscaping. If your home is brick, it is often smart to mimic the style and color in your stamped concrete. If you have stone floors in your home, carrying the same style into your walkway, patio or even driveway can unify your home’s interior and exterior. It’s also smart to pick a color and pattern scheme that complements your landscaping and home if you don’t want something that matches exactly. Your decorative concrete contractor should be able to guide you and give you samples and examples that will meet your needs and preferences, and help your home look its best. 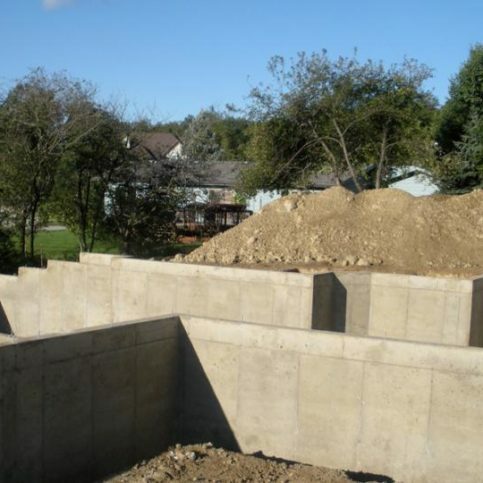 Q: Why should I consider stamped concrete for my home or business? A: Stamped concrete is a great alternative for homeowners or business owners who want an affordable, attractive concrete application. 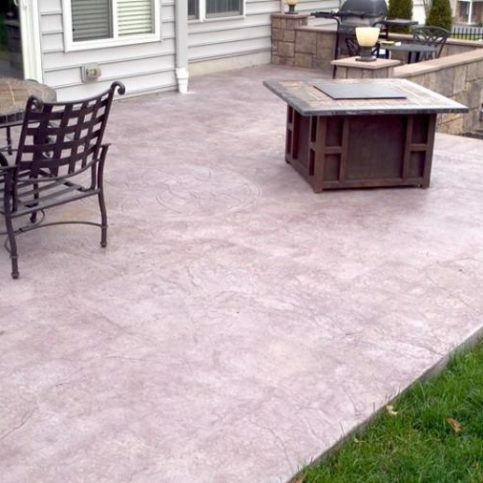 Stamped concrete is a relatively economical approach to driveways, patios, walkways, outdoor decks and even interior flooring. 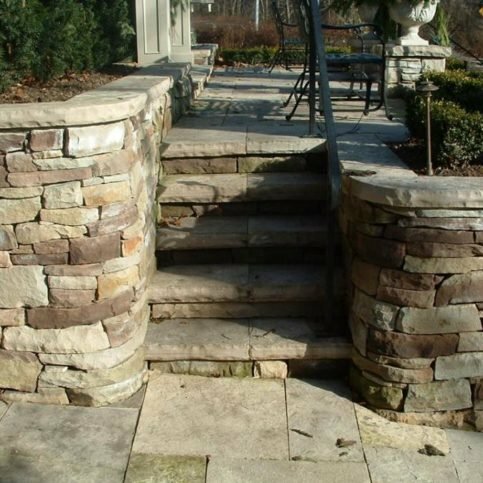 It usually costs less than pavers and natural stone, such as slate and travertine, and natural wood, and it holds up well over time. 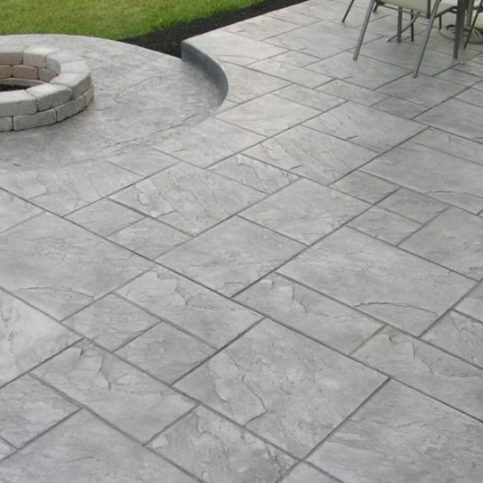 Stamped concrete is poured in on piece, unlike pavers and natural stone, so it also requires less maintenance because no weeds can grow through it, since it lacks cracks and spaces between real stone or wood. Customers also like the wide variety of choices available in terms of color options and patterns for decorative concrete. Q: Is decorative concrete expensive? A: That depends on your needs, preferences and the styles you choose. Decorative concrete can be expensive, as much of the cost depends on the going rate for labor and materials. Obviously, the larger and more intensive the job, the more expensive it will be. However, don’t confuse initial cost with value. Decorative concrete lasts longer and is lower maintenance than most other types of paving materials and concrete, and it can create more value and curb appeal for your home. This means it is more valuable and can actually save you money or even gain you money over time. Choosing a good decorative concrete contractor who does quality work and backs their services with warranties, even if their cost is higher than the cheapest bid you receive. Shopping for quality over low cost is smart when hiring any contractor, including decorative concrete contractors. Q: What are popular colors and patterns available from decorative and stamped concrete contractors? A: Decorative concrete can be stamped into almost innumerable patterns and cast in a rainbow of colors. This includes natural stone patterns that resemble slate, fieldstone, travertine and more. Brick patterns are common, as are seamless paver patterns. Many homeowners choose natural grays and earth tones for their concrete, but brick red is another very popular choice. Homeowners can find decorative concrete companies who will stain, dye and color concrete in any color imaginable to match their home’s exterior or interior color scheme, landscaping and other contrasting and complementary colors. Q: How long will decorative concrete installations work? A: When correctly installed and maintained, high-quality decorative concrete can last for decades. Decorative concrete that has color hardeners applied can be even more durable than other types o concrete, as can concrete that has been sealed. Talk with your decorative concrete contractor for an estimate on how long you can expect your job to last based on the application, materials, location and other factors specific to your job. Q: Will colored concrete fade over time? A: Weathering, traffic, dirt, and even salt and mineral deposits can fade decorative concrete over time. Sealing your concrete will help the color last longer, as will regular cleaning and maintenance recommended by your decorative concrete company. The good news is that faded concrete can often be restored by a simple cleaning and resealing, and concrete can be recolored. Q: Can I recolor colored concrete if I don’t like the original color or change my décor over time? A: Yes. It is possible to recolor decorative concrete. However, it should be noted that you can’t choose a lighter color to replace a darker color. The concrete may need to be treated, stripped, or sanded in order to get a new color to adhere. Likewise, your color choices may be somewhat limited or the color you choose may not exactly match the sample because of the underlying color. Your decorative concrete contractor should be able to walk you through the process or recoloring, restaining or redying your decorative concrete. They should also be able to help you understand your best color options and the likely final outcome of the color you choose. 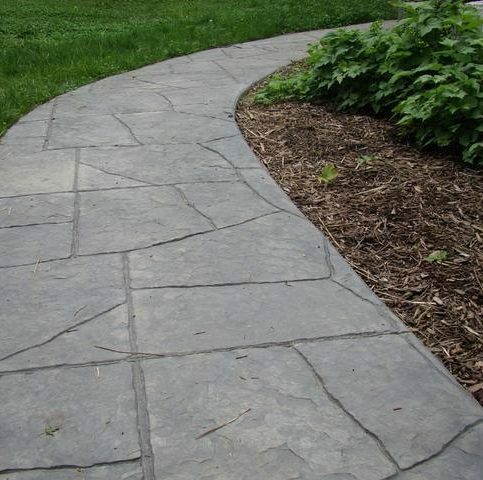 Q: Does stamped concrete look like real stone? A: Good stamped concrete companies can make stamped concrete look like real stone. High-quality stamping mats are molded from real stone materials, so they are molded around the actual material customers are trying to replicate. Decorative concrete companies that offer concrete coloring services should have experience and training in making colors look natural and varied, like real stone. This can include the use of integral colors and dyes, dry-shake coloring and surface-applied coloring. 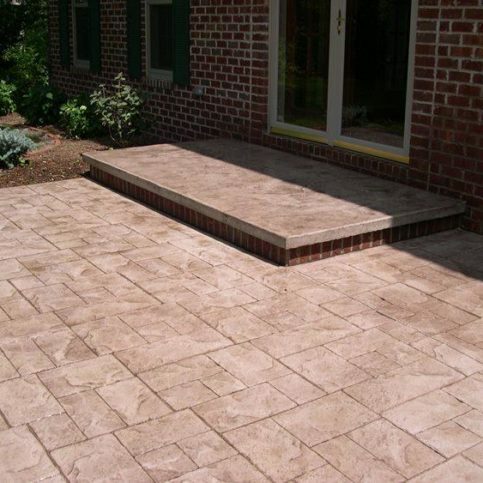 Q: Can I install my own stamped concrete, colored concrete or decorative concrete? A: That depends on your skill level, experience and training. Some very skilled do-it-yourselfers can have luck putting in decorative concrete themselves. However, it’s best to trust an expert with big jobs, or those that will impact your home’s value or curb appeal. The labor on decorative concrete projects and the expense can be prohibitive for homeowners to undertake themselves. Jobs can be complicated, with very limited amounts of time between steps and a very exacting process that is easy to do incorrectly. The tools and materials can be very expensive for a one-time job. For these reasons, it’s best to hire a good decorative concrete contractor who has the tools, training, expertise and skill to do the job right the first time. In addition, licensed and insured companies will stand behind their work, so any flaws or errors can be corrected and not cost the customer extra fees.